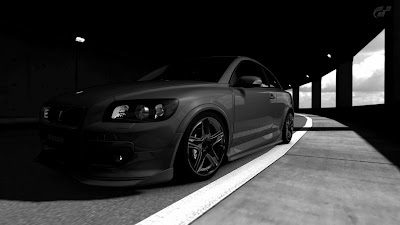 In yesterday’s post I claimed, without hesitation, that Gran Turismo 5 is the best game in the series. The reason for that, on a personal level, is its much improved handling and physics model but go beyond my interests and you find a feature-rich, mostly beautiful and thrilling racing game. Since I’ve already mentioned it, I’ll start with the physics. The Gran Turismo series simulates the act of driving cars fast through, mostly, weight distribution. Where a game like Forza focuses on tires and the way grip affects the car, GT focuses on how the bulk of a car’s body and chassis affects speed, and how G-forces and the lurch forward under brakes affects momentum. This key difference, and Forza’s impressive evolution in its recent titles, almost separates the two rival franchises into completely different categories but, more than that, it provides interesting insight into car behaviour -- in the real world and virtually -- that I’d like to explore in detail later. 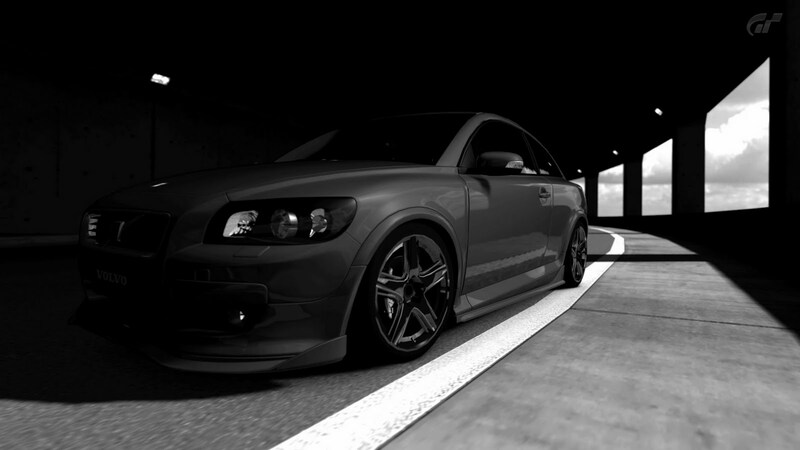 For now, however, Gran Turismo 5’s additions to the handling and physics system ensures that it’s not only the most refined of the franchise, but that it also allows for more subtlety and a stronger level of depth: crucial for conveying the intricacies that driving a car around a track, at speed, reveal. This is perhaps most evident in the game’s wide array of cars. Gran Turismo as a series is renowned for its car selection, perhaps even going over-board with its multiple Skylines, RX-7s and -- in this version (finally!) -- Ferraris. But, unlike previous installments, the difference with these vehicles is actually noticeable, and getting acquainted with each car actually requires time and effort. Drivetrains matter, for example, and it’s no longer a case of front-wheel drive cars under-steering and rear-wheel drive cars over-steering. You can actually feel the car responding -- or not -- to your input and can recognise, instantly, when you need to react to it veering off track or why it’s not putting the acceleration down. Now I won’t deny that in my experience of playing racing games over the years and my understanding of Motorsport, I can recognise the traits and issues that the average player -- the kind who goes for a burn around Laguna Seca on the weekends simply because it’s fun -- might not, but the fact that the refinement and difference is there goes a long way in improving the simulation as a whole, not to mention, indirectly, teaching its players the finer techniques and understanding that racing cars requires. Throw in the diversity of NASCAR, rallying and Go-Karts, and consider how drastically different those disciplines are, and you have a system that’s not only impressive, it’s a robust, technical feat. I’ll be honest and say that I still think Forza has it beat in this department -- and I’ll explain why in a future post -- but that Gran Turismo stepped up is wonderful, especially when it was so close to being left behind. Going beyond the mechanics Gran Turismo 5 features an insane amount of content, far more than what is expected from the first installment in a generation -- and perhaps only, given the lengthy development time -- that it’s amazing that it works at all, let alone came out as polished (if inconsistent) as it did. Instead of waiting for the second release in a generation like it has previously to offer more cars and things to do, Gran Turismo 5 hits the track with a number that outdoes the competition, if not its own-self. 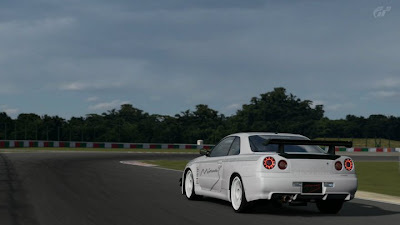 1000+ cars out of the box; a multitude of tracks -- both real and fictional -- which includes their many variants; and a variety of modes, disciplines and features that were unthinkable in the last game, Gran Turismo 4. Rally returns, drifting is included for the first time (GT5: Prologue doesn’t count) and NASCAR, karting and even WRC (the World Rally Championship) finally get some of the attention that they deserve. It may only be a dabble here and a dabble there -- GT5’s main focus is still absolutely on the many road cars available -- but it’s a lot more than other games, and paves the way for an enticing future where all cars, all disciplines of racing across the Globe, can receive the respect and level of appreciation/admiration that this series prides itself on. Weather was added, damage included, and dynamic conditions and the transition from day to night and back again in the longer races make for a much more realistic simulation experience, as well as a more enthralling, immersive one. 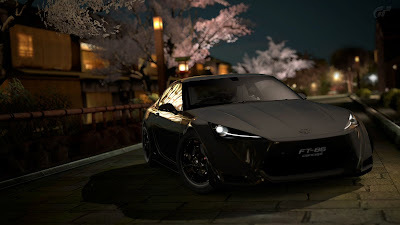 I’ll break these features down in an upcoming post but the fact they are there is remarkable -- even if flawed as I suggested yesterday -- and justifies, somewhat, the incredibly long development time Gran Turismo 5 had. This variety is important pedagogically, too, something I’ll expand on later. Gran Turismo 5 isn’t perfect, however, and a wealth of content means nothing if their implementation is odd and confusing. Furthermore, the disparity between Premium and Standard cars visually, omission of classic Gran Turismo circuits and last generation design decisions make GT5 a game that, while brilliant, should have been better, too; particularly as its competition catches up, if they haven’t passed it already. More on that next time.